The following are extracts from The Oxford Companion to Cheese. Cheddaring, or “texturizing the curd,” is the handling of the curd in the vat or cooler from the point at which the liquid whey is removed (also known as “whey-off”) to milling, the objectives of which are to control the moisture content by the removal of whey and to develop the body and texture of the curd. This method of handling significantly influences the final texture of the cheese. During the process, the curd mat left behind after the whey has been removed has a central channel cut in it, and the curd removed from this channel is piled on to the curd on either side of the vat in equal quantities. This curd is then cut, within five to ten minutes, into evenly-sized blocks on each side of the vat. At this stage the curd is very fragile and the first turn must be carried out carefully. Subsequently, the blocks are turned and piled every ten to fifteen minutes depending on the rate of acidity development. The cheddaring process entails turning and piling these slices of curd. As they relax and stretch, the large blocks may be cut again for ease of handling and to assist the expulsion of whey. During this entire process the pH falls as the starter bacteria continue to multiply, and to this end the curd must be kept warm; the outside end blocks should be turned to the inside of the vat and the top pieces to the bottom of the pile. Failure to do this during long cheddaring periods may cause some parts of the curd to become cool or discolored. During the whole process whey drains from the curd, and its texture changes from fragile and crumbly to smooth, with characteristic striations similar to cooked chicken breast. If the acidity develops too rapidly during cheddaring, the blocks are turned more frequently to aid syneresis and not piled high to encourage cooling. If the acidity development is slow, the curd is left for longer intervals and piled high to keep warm. A common target for milling is a pH of 5.4–5.2 and a titratable acidity of 0.45–0.50 percent lactic acid. If the curd is still wet when it is milled, then more salt may be added and the curd stirred for longer before molding to aid the release of excess moisture. In modern day Cheddars, the whole process normally takes forty-five to sixty minutes, during which time the titratable acidity increases approximately 0.05 percent every ten to fifteen minutes. If the cheddaring period is extended beyond the normal duration, the total time from rennet to milling is also extended. Many producers refer to this scenario as a “slow vat” and adopt procedures including curd testing for organisms such as coagulase positive Staphylococcus aureus to ensure the cheese’s safety. However, at the turn of the twentieth century, when Cheddar was often made without the addition of starter cultures, the cheddaring process often took five hours or more. Shelf life, or durability, of ripened cheese begins when maturation ends; but the moment when this transition occurs can be difficult to identify accurately. Unlike nonfermented foods, the organoleptic qualities of cheese evolve continuously from the day the curd is made, through maturation and shelf life, to the day the cheese is consumed. Whereas the sensory quality of nonfermented food remains unchanged until the food suddenly spoils, the flavor and texture of cheese vary continuously, appealing to different palates at different stages of ripeness. Some like Camembert mild and firm, others like it strong and runny, so the end of life is variable — the two dates could be a month apart. “Cheese” is but a single word, yet it represents innumerable varieties, with widely differing compositional characteristics. A combination of salt content, moisture content, and pH value, together with competition from the complex microflora of most cheeses, determines whether a variety can safely be stored at room temperature or must be refrigerated and whether the shelf life is one week or one year. In part, the durability of a cheese is determined by the fate of pathogens. All serogroups of Salmonella can die during the maturation of hard cheese, so farmhouse Cheddar may become safer the longer it is stored. 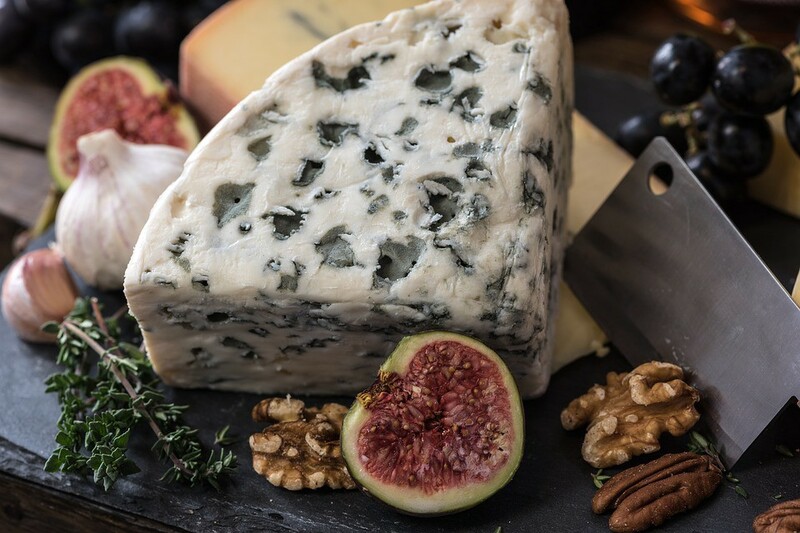 Conversely, Listeria monocytogenes may grow in mold-ripened cheeses, so it may be necessary to restrict their shelf life to prevent the numbers of Listeria from achieving high levels. During maturation of hard cheeses, protease and lipase enzymes gradually increase the depth of flavor, so mild Cheddar may be ripened for just a few weeks, whereas Parmesan is matured for at least twelve months. British territorial cheeses and Dutch-style, washed-curd cheeses may be eaten either fresh or matured. The pH value of mold-ripened cheese rises to neutral during maturation and shelf life because molds produce ammonia, which is strongly alkaline and neutralizes the lactic acid that developed during curd formation. Fresh, soft cheese (e.g., lactic or cream cheese) is usually not ripened; most varieties remain stable throughout their shelf life. Thus, the biochemical processes that take place during cheese storage vary widely from one style to another. So, what restricts the shelf life of cheese? Some may argue that for hard cheese it is simply strength of flavor; there comes a point when the cheese is simply too strong for most palates. But for most cheeses, the visible growth of undesirable or unintended molds is probably the main cause of shelf-life limitation. So, when does maturation end and shelf life begin? The answer is: at a point somewhere between the cheesemaker and the retailer, determined by the type of cheese and the required strength of flavor. What can be said, however, is that when a whole cheese has been cut, especially if portioned for retail, it has ceased to mature and its durability is limited. Accelerated ripening of cheese has been a subject of scientific and industrial interest for many years. Ripening of cheese represents a significant investment of time and cost of storage under specific conditions, such as controlled temperature and humidity. Ways to reduce this time and burden seem highly attractive from practical and economic perspectives. However, in considering how to accelerate ripening, it is critical to examine exactly what is happening in ripening overall. Cheese ripening, while differing in details from cheese variety to variety, essentially always involves the combined action of a wide range of biological agents — principally bacteria (from the added starter or non-starter lactic acid bacteria [NSLAB]), molds or other microorganisms where present, enzymes coming from these microorganisms, the milk from which the cheese has been made, and the added coagulant (e.g., rennet). Development of the characteristic flavor and texture of each variety depends on all of these reactions working in concert, and sometimes in delicate sequence, to break down the proteins, fats and lipids and transform a bland and smooth fresh curd to a much more flavorsome mature cheese. The challenge then in accelerating ripening is how to get all these reactions, which may act independently or in a coordinated manner, to take place at a uniformly accelerated rate and arrive at the same destination, that is, a balanced and appropriate set of flavors, aroma, and texture characteristics, in a shorter space of time. In conclusion, when it comes to cheese ripening, the exact journey can be the key to ensuring the right destination. While the objective of saving money and time by reducing the ripening time (by accelerating the rate of all the processes involved in that period) unquestionably remains attractive, successfully managing the complex process of cheese ripening to achieve this, in a way that the cost of the solution does not cancel out the benefit, remains in large part an elusive goal. 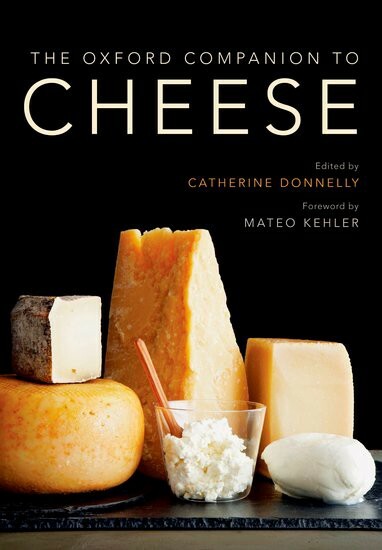 The Oxford Companion to Cheese is edited by Dr. Catherine Donnelly, with a foreword by Mateo Kehler.